You don’t need to know the history of the piano to understand its importance in modern day production. Whether we’re talking about pop production or electronic music, producers are constantly finding creative ways to mix and arrange pianos in their tracks. Why? As an audience, we are attracted to sounds that we can relate to. Implementing things like pianos, guitars or vocals can make a track accessible to a wider audience. Such a versatile instrument can be utilized in many ways – so let’s talk about how to arrange and mix pianos in your electronic tracks. A great way to use pianos is as chordal accompaniment. With a layer of synth chords for example, this can help to give your track some organic quality without taking away from its electronic elements. Another good place to use them would be a in a break down with a layer of vocals. In this case, it’s important that the register the piano is playing in does not interfere with the vocals. Keep in mind, depending on the voicing, the top voice of the chord may be interpreted as a separate melody. If that is your intention, make sure that this melody complements any other elements that are playing in the same time. If we take the chords out, a piano can provide harmonies for an existing melody or act as the central melody. The way we will process the sound for this purpose is different. It will find its place at the center of the stereo image with a timber that is clear and powerful enough to fulfill melodic function. 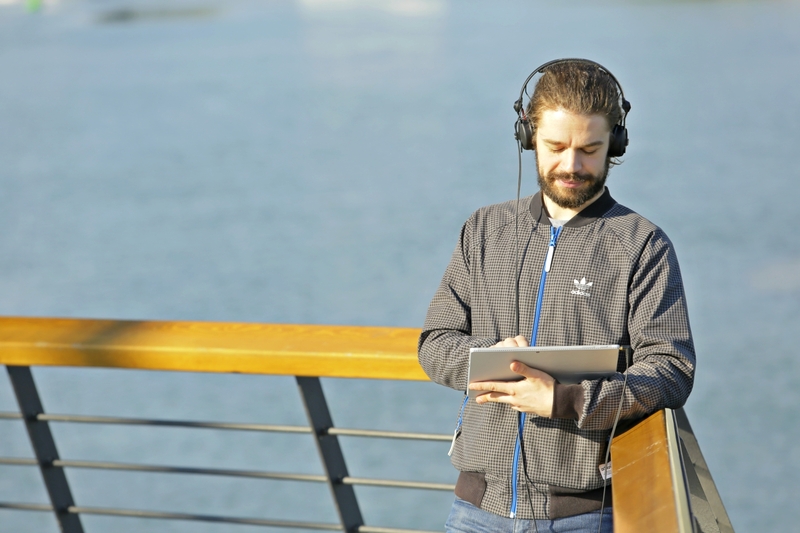 As with any of these uses, you should consider thickening up the sound with some synth layers. 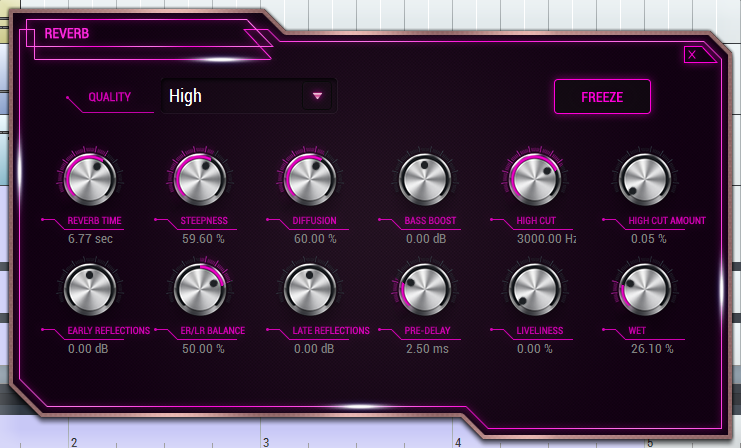 Not only will this make it more prominent, it will also help it blend with other synthetic elements in your track. With extreme processing, you can use pianos as an ambient layer in the background of your track. The long reverb tails and delays add some depth to your mix. It is, however, easy to overdo the wetness and muddy up the rest of your track. Use them carefully. Now, let’s go through each of these examples and break down the core components. 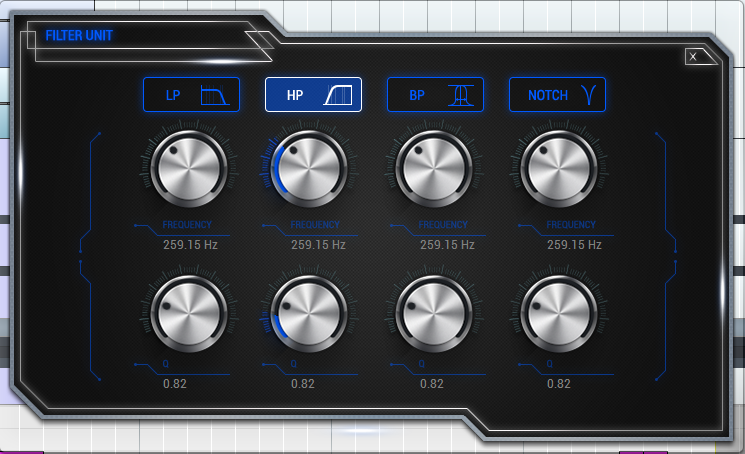 The plug-in I chose to use for these examples is Native Instruments’ The Giant. After loading up a new instance in SoundBridge, I adjusted the tone knob to give the piano a softer feel. By enabling the XXL function, I also gave the piano more size; hence, more depth. Since the piano is playing chords in this case, the depth makes it more prominent in the mix, relative to other potential elements. 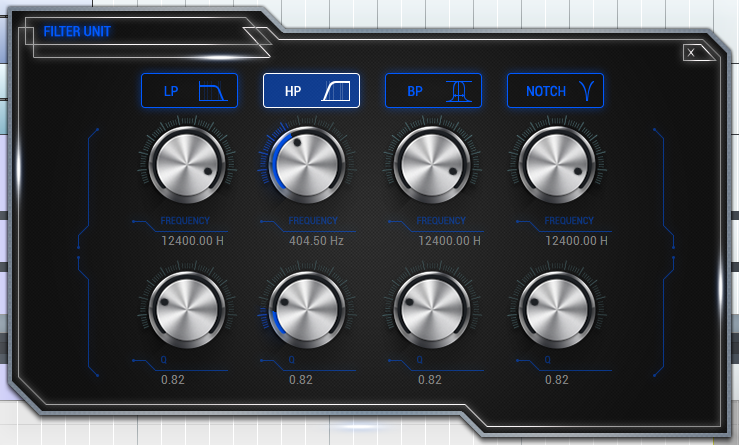 To further emphasize this, I added some stereo width with Kontakt’s built-in stereo modeler. 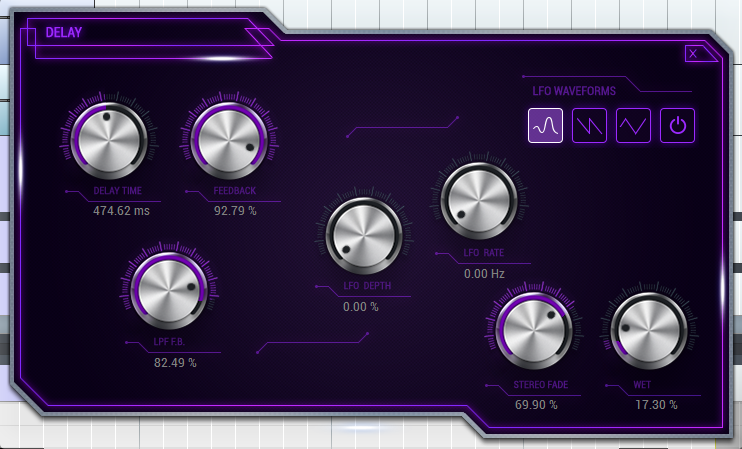 Back in SoundBridge, the first effect I have loaded up in my effect chain is the filter unit. Since piano strings contain a lot of harmonic content, the condition of lower frequencies is not sufficient for this context. With a filter, I have cut the lows. I will be filling them up later with an NI Massive Layer. Then, with SoundBridge’s built-in EQ, I have lowered the high shelf to get rid of the harsh attack of the keys. Next, I added some chorusing. Since the sound still has to remain clean and powerful, it’s important to use this in moderation – just for color. With that in mind, the first thing I’ve done is turn the dry/wet to about 50%. I then reduced the LFO depth and rate to 0.40 and 0.03 Hz, respectively. Though The Giant’s internal reverb is adding good ambiance to our sound already, I’ll add another small layer of reverb in parallel, using a return channel. This implementation is important because it avoids deteriorating the sound and preserve the original dry signal. On this reverb, I increased the reverb time to about 2.30 seconds, the steepness to about 70% ad the diffusion to 60%. Since we want this effect in parallel, it’s important to take the wet all the way to 100%. 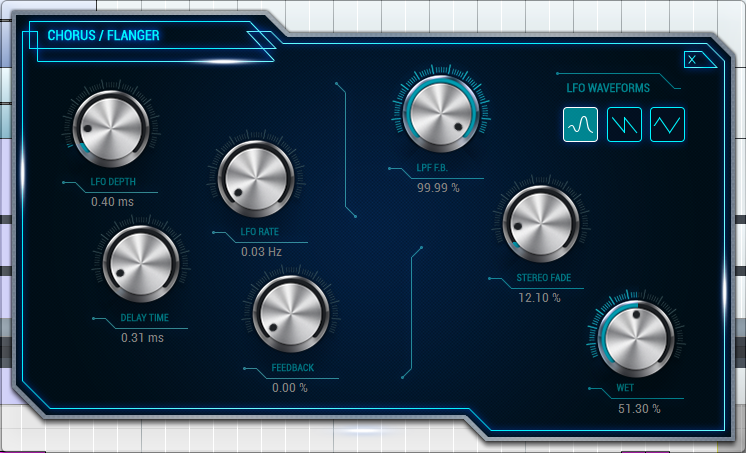 I added a compressor to glue all of these effects together as the final effect in my effects chain. Compression techniques are extremely characteristic of EDM pianos. Yes – in many cases, this would be considered over-compressing. But – in our case, we must modify the piano’s character in order to get that sound we’re looking for. I’ve shortened the attack to its lowest setting and lowered the threshold to about -30 dB. To counteract the gain reduction from compression, I’ve increased the make-up gain to about +13 dB. 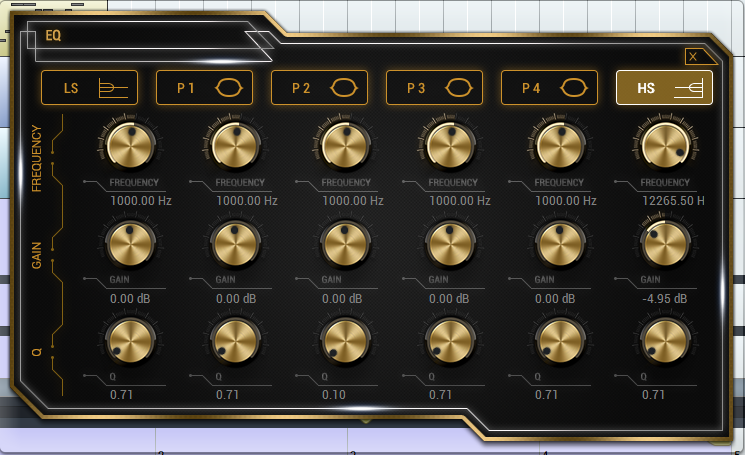 For the sake of this demonstration, I have added a Massive patch occupying the low end. I will not go over how I made it in this blog, but you can download it HERE. Below I have arranged some chords in G minor on the SoundBridge piano roll. That’s all for example 1! Luckily for our melodic piano, we don’t need to do much processing. I’ll build it up from the default Giant patch because it already has the timbre we’re looking for. Like example 1, I will use a high pass filter to eliminate the frequencies I don’t want. This time, I can cut it higher because the only notes that will be played are in a high register. On our delay unit, I’ll set the time to about 470 ms and the feedback to around 90%. I’ll also decrease the LPF on the feedback so it can be heard. This delay will help to create ambiance and emphasize the melody by repeating notes. On our reverb unit, I’ll move the time to almost 7 seconds, the steepness to 60% and the wet to 26%. Since the piano is playing single notes in a high register, we can push the reverb a little harder. In other circumstances, this poses a problem – the wet signal starts interfering with the dry so much that what the piano is playing is no longer distinguishable. Finally, like the first example, I’ll end my chain with a compressor. Since we’re not getting a lot of signals, to begin with, I’ve taken the threshold all the way down to -34 dB. The attack is down to the lowest setting and the ratio is up to 4.31. To compensate for gain reduction, I’ve turned the gain parameter up to 10.51 dB. 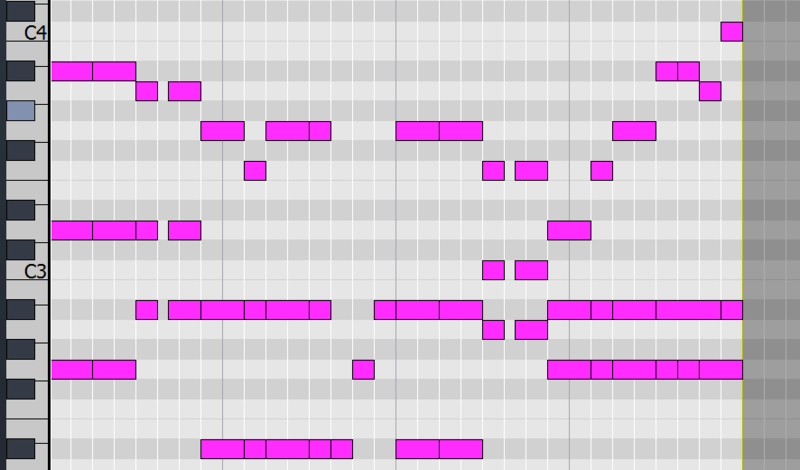 In my example, the melody is layered with a Massive patch that you can download HERE. The ambient piano does not require much time and serves as an example of what can be achieved with The Giant engine alone, rather than what FX can do. All I did was tweak the space to give it more size and a longer distance. This takes it from the foreground to the background to avoid distracting the listener from prominent elements in the mix. Like the first example, I changed the color to a softer sound and enabled the XXL function. 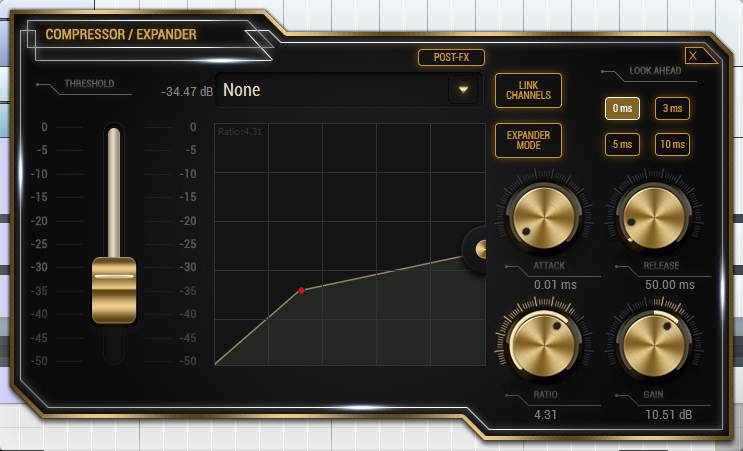 To clean it up, I added the same filter and compressor settings used in example 2. 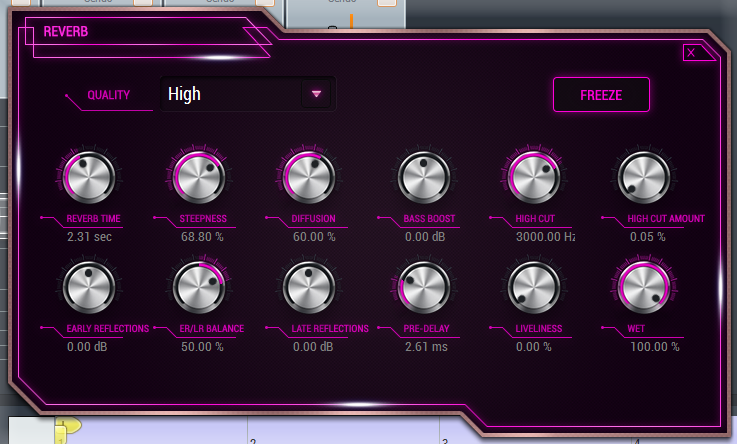 This gives us a discrete sound that can give the track some organic quality. That’s it for this tutorial. I hope you now have a better idea of how to utilize pianos effectively in your electronic production. Keep in mind, the effects I have been using are basic. Meaning, it’s less about what you use and more about how you use it.